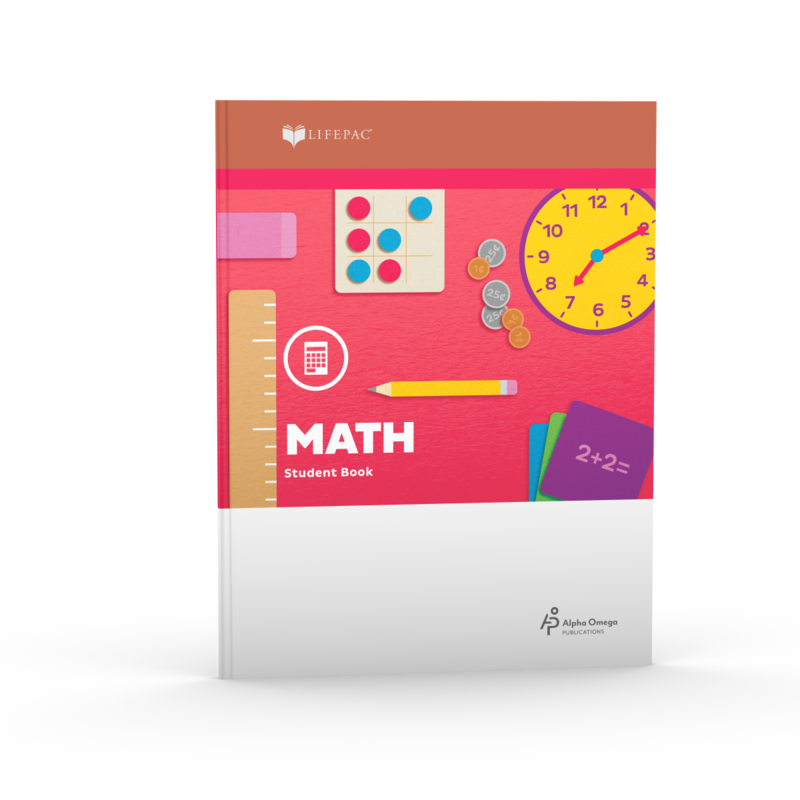 Teach your child math the fun way with LIFEPAC Kindergarten Math Student Book 1! This bright, full-color workbook teaches beginning math skills like direction, comparisons, colors, cardinal and ordinal numbers, shapes, and number order. Eighty step-by-step lessons, perforated pages, and helpful guide bars are included in this Alpha Omega curriculum. Ready to teach numbers to your kindergartener? Want to do it with an easy-to-follow math workbook? Alpha Omega Publications has just what you need—LIFEPAC Kindergarten Math Student Book 1! This fun, entry level workbook has colorful, consumable lessons perfect for young beginners. Laying a solid math foundation, this first of two student books helps teach basic arithmetic like numbers and counting! Lessons 1-80 include instruction for beginning math skills such as directions, matching, cardinal and ordinal numbers 1-9, colors, shapes, sequencing, and simple problem solving. And bright illustrations are included to capture your young student's interest! But that's not all. The soft-cover LIFEPAC Kindergarten Math Student Book 1 also comes with perforated pages for easy removal! So, now you don't have to struggle with bulky textbooks anymore and your child can easily write in lessons and complete problems. Plus, removable pages in this Alpha Omega curriculum allow your young student to proudly hang his work on your refrigerator or wall! This step-by-step homeschool student book also has self-paced lessons so you can easily personalize instruction and activities. Sound great? It is! And to ensure your student is mastering content, consistent reviews are added to build comprehension. Don't wait; try this popular curriculum today! Just order the LIFEPAC Kindergarten Math Student Book 1 and see how easy and fun it is to teach math to your kindergartener. 804 N. 2nd Ave. E.